This is the second in a series of blog posts that will highlight the market and environmental potential of renewable natural gas (RNG). Check back over the next six weeks as we explore the issues and opportunities for RNG in the transportation sector. Our previous renewable natural gas (RNG) post was on the technologies currently used to transform organic waste into renewable vehicle fuel. This time, we’re exploring the steps needed to ensure the safe and efficient use of this fuel in natural gas engines. Upgrading biogas into RNG suitable for engines is a lot like the upgrading processes for natural gas extracted from fossil sources, or even to traditional liquid fuels like gasoline or diesel. No energy source for transportation can be taken in its raw state and put right into an engine. Transport fuels must have impurities removed and their energy content raised to a set level, and RNG is no different. Regardless of the upgrading methods used, the aim is the same: to remove unwanted gases and moisture. The basic steps include removing water vapor, hydrogen sulfide and carbon dioxide, as well as removing residual contaminants such as siloxanes and trace gases. This can be accomplished by membrane separation, water scrubbing, chemical absorption, physical adsorption, bio-filtration, or cryogenic separation. The degree of biogas refinement depends on the end-use, and transportation needs a relatively high degree of purity. Fuel standards for RNG can be established by regional governments or by engine manufacturers themselves. For example, the European Union is currently establishing an EU-wide standard for RNG, and in Austria a trade name called “methaPUR” has been established to market vehicle-quality RNG. [ii] [iii] Cummins Westport offers an online Fuel Quality Calculator that allows customers and fuel providers to be sure that natural gas from any source that meets specifications can safely be used in its engines. The final stages – compression and distribution – undergo similar processes to conventional natural gas production. The key difference is the variety of scale and location of RNG production sites. Conventional natural gas typically delivers large volumes to large markets, but RNG production facilities can range from the micro- to the medium, to the very large[iv], and their customers can be private truck fleets, public access vehicle fueling stations, or grid-injection for delivery to a wide array of end customers. Some markets for RNG are “closed loop,” where the biogas from a privately-operated landfill powers part of the refuse vehicle fleet owned by the company, while others are much more open. In Sweden, nearly all RNG produced to vehicle engine standards is supplied into the pipeline network. Whether produced in a closed loop or for public refuelling stations, a distinct advantage of RNG for transportation is that once the biogas has been cleaned and upgraded, it’s interchangeable with conventional natural gas for transportation, giving fuel providers and drivers a flexible range of options. [i] Petersson, Anneli, and Wellinger, Arthur (2009). Biogas Upgrading Technologies – Developments and Innovations. 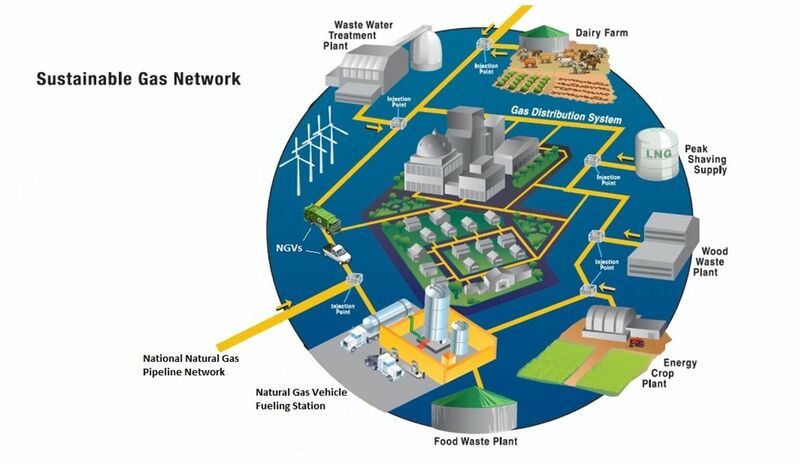 IEA Bioenergy, Task 37: Energy from Biogas and Landfill Gas. [iv] Waste Management describes its Altamont, California landfill gas site as the largest biofuel supplier in the world, capable of producing 13,000 gallons of liquid natural gas per day. This article will help everyone to know so much important information about. It is very alternative for people and helpful to anybody. You may know me by You'll also discover out where the car is actually situated so that you can position your offers smartly, and the work deadlines for putting the offers that you want are detailed the websites for Salvage snowmobiles as well.